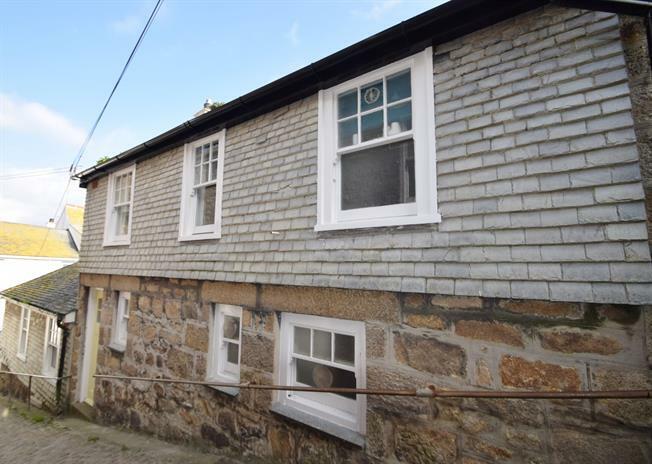 3 Bedroom Terraced Cottage For Sale in St. Ives for Guide Price £369,000. This three bedroom character cottage offers spacious light and airy accommodation which comprises in brief; An entrance hallway, a spacious and light lounge/diner with feature gas fire and separate kitchen. There is a w/c on the ground floor. On the first floor there are three bedrooms and a family bathroom with further WC. Outside to the rear the property has use of a good size shared courtyard area which is a perfect spot for al fresco dining. An internal viewing of this cottage is highly recommended. A solid wooden door leads into a carpeted entrance hallway, with carpeted stairs leading to the first floor, there is a night storage heater and a further door which leads into the lounge. A spacious light and airy lounge diner with carpeted flooring, two double glazed sash style windows, a nightstorage heater, a feature fire place with gas fire and a under stairs storage cupboard. A spacious kitchen with vinyl flooring, a range of wooden wall and base units with a roll top worksurface, tiled splash back, a one bowel stainless steel sink with drainer and a freestanding gas cooker. There is space for a dishwasher and fridge freezer. 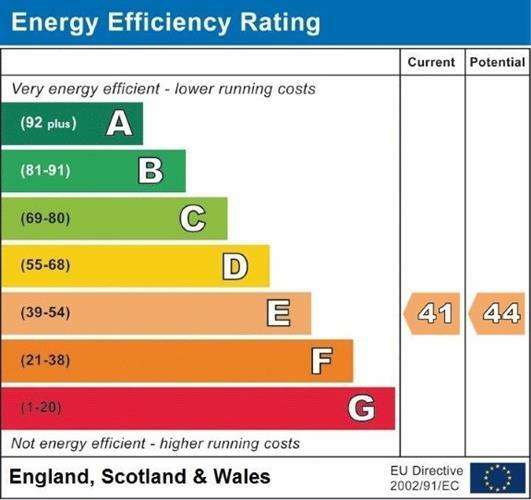 There is also a nightstorage radiator, a double glazed sash style window to the side and a stable door which leads down a couple of steps in the courtyard. A useful downstairs w/c with part tiled wall, vinyl flooring, two sash windows to the front, a toilet and a wall mounted sink. A carpeted staircase leads up to the first floor landing, off the landing is access into the three bedrooms and the family bathroom. A double bedroom with carpeted flooring, a double glazed sash window overlooking the rear, a night storage heater and a built in wardrobe. A double bedroom with a built in wardrobe with sliding mirrored doors, a double glazed sash style window to the rear, a night storage heater and carpeted flooring. A small double with carpeted flooring, a sash style window to the front and a night storage heater. A family bathroom with vinyl flooring, a panel bath with shower over, a low level W/C, with pedestal wash hand basin, a frosted style sash window and a heated towel rail. Outside to the rear of the property is a communal courtyard area, which is a perfect spot for al fresco dining or storage for beach equipment.